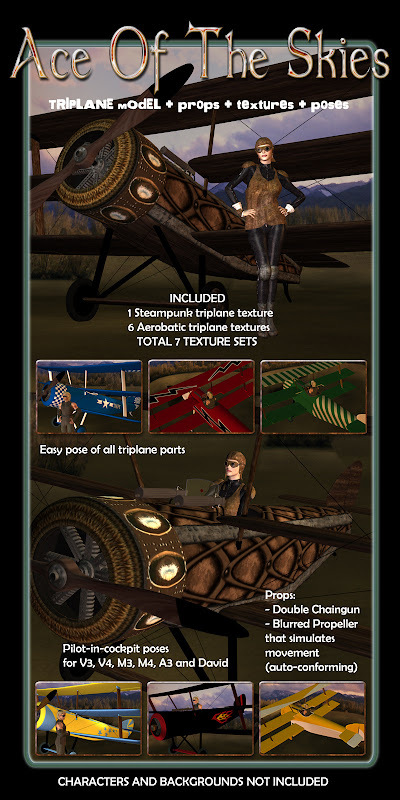 I have finished my project for Renderosity called Ace Of The Skies. This is a 3D model for Poser and DAZ Studio. Soon I will tell you more in detail about the process of building and testing, and some story behind this. For now, here are some renders of the product. 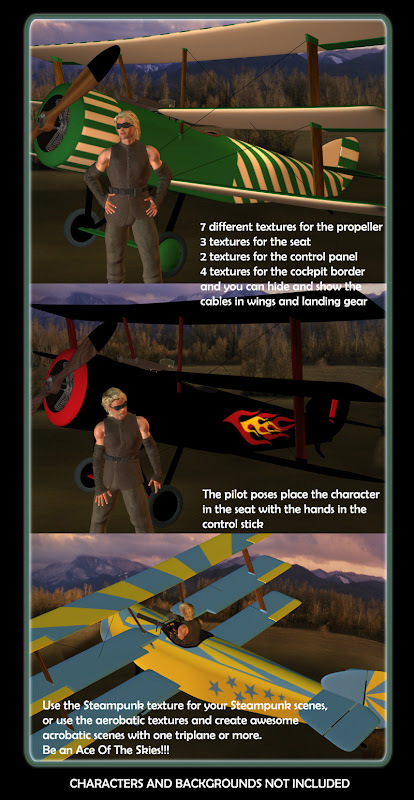 It includes a long list of features, that go from MAT poses to pilot poses for the most common figures. 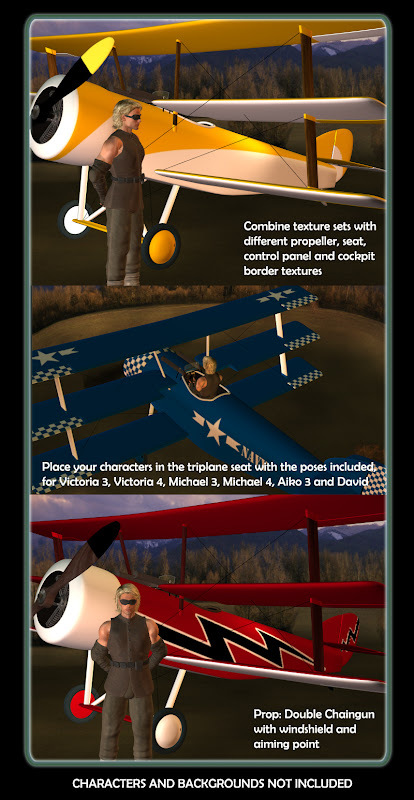 You can use it to build 3D rendered scenes of aviation. Now it's 15% Off for 1 week. In addition, you can use the coupon code 20100205B10P10 to your order at the time of checkout for instant savings, if you purchase before February 08, 2010 at 11:59pm (CST) Renderosity system time. For a limited time, receive 10% off of your purchase of $10.00 or more. If you add these 2 offers, you get 25% Off.